For information on any conference hosted by the Engineering Society or if you are interested in discussing external conferences, please contact the Director of Conferences. The Queen’s Engineering Competition aims to inspire excellence through competition within the Faculty of Engineering and Applied Science. Delegates are invited to a conference style case competition and are asked to select one of eight challenges of the type engineers encounter every day. This opportunity to take our skills outside of the classroom shows ourselves and our industry partners the competence and creativity we all hold within us. The winners of each category are selected to compete at the Ontario Engineering Competition (OEC), where they compete for cash prizes and a chance to attend the Canadian Engineering Competition (CEC). We are the Commerce & Engineering Environmental Conference held at Queen’s University in Kingston, Ontario. As the premier undergraduate sustainability conference in Canada, we aim to expose delegates to the rapidly expanding and disruptive green industry, an area with substantial economic and social impact. CEEC explores the business opportunities and technology that will allow for the next generation of great companies to lead us into a world that is built upon renewable energy and other green innovation. The Queen’s Space Conference (QSC), held at Queen’s University in Kingston, Ontario, is an annual, non-profit, student-run conference focused on connecting undergraduate students with Space industry leaders. The conference is centered around a series of exciting talks, innovative workshops, and networking opportunities. We strive to bring together industry professionals in order to provide delegates the most informative, inspiring, and memorable conference possible. QSC is about sparking thought and idea-generation, about raising the awareness of the potential of the space industry, and about piquing the interest of the future generation of that industry. The Queen’s Global Innovation Conference (QGIC) has the intention of promoting and fostering discussions around rapidly expanding global topics. Our focus for 2018 is to both educate and inspire delegates through exposure to breakthrough research and innovative designs in the field of Artificial Intelligence (AI). Throughout this conference there will be inspiring speeches given by Keynote Speakers, group discussions led by technological experts and entrepreneurs, and multiple activities intended to introduce concepts and promote critical thinking. All attendees will receive ample opportunity to network throughout gourmet meals, organized nightly events, networking sessions, and group challenges. 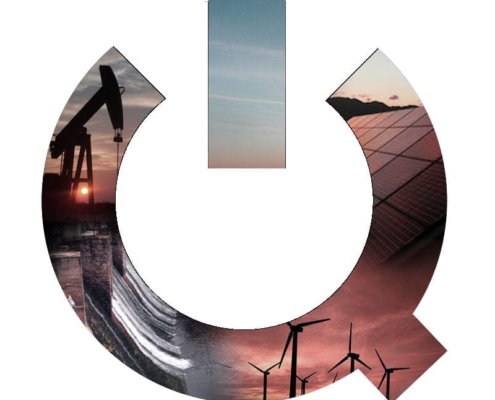 QGEC aims to educate delegates on trends and technologies in a variety of energy sectors, while providing insight into how they affect the energy industry as a whole. Our goal is to provide delegates with a unique world view of the energy industry by connecting them with experts, thought leaders and innovators from across different energy sectors. The conference provides industry professionals with the opportunity to inspire a new generation of talent, and guide them through this state of change. First Year Conference is a two day conference designed to prepare delegates to make positive decisions that will help them navigate their future. Speakers such as recent graduates and leaders at Queen’s or in industry will inspire delegates to be their absolute best. Workshops are designed to provide the delegates with helpful information on experiences or decisions they will face in the next three years and beyond. Just a few topics covered include stress management, FREC Interviews, academic advice, and building skills that will make them an outstanding candidate for their dream job. Delegates can expect to laugh, meet new people, and walk away with invaluable information they will use for the rest of their time at Queen’s. and the wide spectrum of job opportunities available to engineering graduates. Each year, CIRQUE connects motivated and intelligent students with industry leaders, who share their insights and experiences into career paths and succeeding after graduation. Previous speakers include Professor David Wallace of MIT, astronaut Chris Hadfield, and Sleep Country Canada co-founder Steve Gunn. We welcome you to a weekend of stimulating speakers, one on one conversation and delicious meals as you learn about your future in engineering. A portion of the committee for CIRQUE 2017 will be hired early in September and we encourage all years to apply! Check the Engineering Society website for updates! If you and your conferences are interested in becoming ratified by the Engineering Society, questions, concerns, and general inquires can be brought to the Director of Conferences at conferences@nullengsoc.queensu.ca (current Director can be seen on ‘Contact Us’ page). In order to become ratified, you must complete the attached form in its entirety and present the ratification as a motion at an Engineering Society Council.